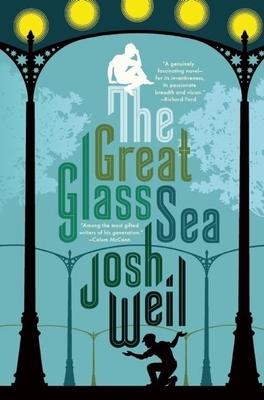 From celebrated storyteller Josh Weil comes a sui generis epic swathed in all the magic of Russian folklore and set against the dystopian backdrop of an all too real alternate present. Twins Yarik and Dima have been inseparable since childhood. Living on their uncle's farm after the death of their father, the boys once spent their days helping farmers in fields, their nights spellbound by their uncle's tales. Years later, they labor together at the Oranzheria, a sea of glass erected over acres of cropland and lit by space mirrors that ensnare the denizens of Petroplavilsk in perpetual daylight. Now the twins have only work in common--stalwart Yarik married with children, oppressed by the burden of responsibility; dreamer Dima living alone with his mother, wistfully planning the brothers' return to their uncle's land. But an encounter with the Oranzerhia's billionaire owner changes their lives forever and soon both men find themselves poster boys for opposing ideologies that threaten to destroy not only the lives of those they love but the love that has bonded them since birth. A breathtakingly ambitious novel of love, loss, and light, set amid a bold vision of an alternative present-day Russia. Josh Weil was the recipient of the Sue Kaufman Prize for First Fiction for his debut novella collection, The New Valley. He has been named a National Book Award "5 Under 35" author, a Fulbright scholar, and was a Jersey Fellow at Columbia University. His fiction has appeared in Granta, StoryQuarterly, and New England Review, among others. Weil divides his time between New York City and Southwestern Virginia.